As announced earlier, Blackberry has officially launched the all-new Blackberry Evolve and Evolve X smartphones in India. 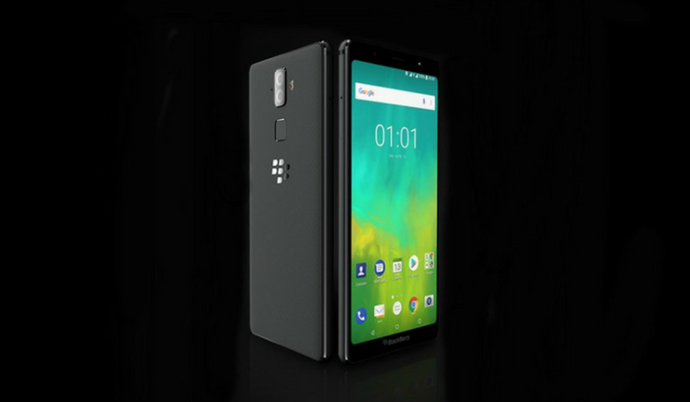 Unlike the recently launched Blackberry KEY2, the new Evolve smartphones come with full touchscreen displays. While we always talk about the overpriced Samsung Galaxy J and On series smartphones, the Evolve and Evolve X come with even crazier price tags. The Blackberry Evolve X powered by Snapdragon 450 processor is priced at Rs 24,990. On the other hand, the Snapdragon 660-powered Evolve X comes with a price tag of Rs 34,990. On the design front, both the devices look exactly similar and come with soft-touch back panel. The devices come with a 5.99-inch Full HD+ (2160 × 1080 pixels) display with 18:9 aspect ratio and 2.5D curved Corning Gorilla Glass 5 protection on top. As mentioned earlier, the Evolve and Evolve X will come powered by Snapdragon 450 and Snapdragon 660 processors respectively. While the Evolve X offers 6GB of RAM, the Evolve X is limited to just 4GB of RAM. Both the devices will be including 64GB of internal storage that can be further expandable up to 2TB using a MicroSD card slot. We can find differences between these two devices in the camera department. The Evolve sports dual 13MP cameras on the rear and a single 16MP camera on the front. On the Evolve X, there are 12MP + & 13MP cameras on the rear and the same 16MP camera on the front. The devices will be running on the latest Android 8.1 Oreo out of the box. There are Blackberry-exclusive features like Blackberry Hub and DTEK. On the rear, we can find the circular fingerprint sensor. While both the devices come with 4,000mAh battery and Quick Charge 3.0 support, only the Evolve X supports wireless charging. Connectivity options include 4G VoLTE, Wi-Fi, Bluetooth 5, GPS, 3.5mm Audio jack, USB OTG, FM Radio, and USB Type-C port. The device will be exclusively sold through Amazon India. While the Evolve X will be available from this month end, the Evolve will be on sale starting mid-September. Stay tuned on Phone Radar for more details! The post Blackberry Evolve & Evolve X Launched, Snapdragon 450 at Rs 24,990 appeared first on PhoneRadar.